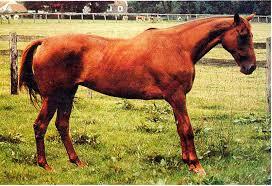 Laminitis is a very common and very serious condition of horses, leading often to extreme pain and severe lameness. Many horses worldwide are euthanized due to the crippling effects of the disease. Henks' father Dr Evert Offereins developed a revolutionary approach to laminitis, which involves special shoes applied by a specially trained farrier, and offering remarkably improved recovery rate. Below is some general advice for owners of horses diagnosed with laminitis, but please do not hesitate to contact the clinic if you have any questions regarding this condition, especially with regard to our unique shoeing approach. When a laminitic patient goes home it is very important that the owner continues to manage the condition effectively in order to maintain the patient in the best possible position. The main principles of laminitic management are pain control, exercise and diet. The care of the animal after leaving the hospital is very important and influences both the speed and level of recovery. The shoes applied to the horse are hospital shoes and must be treated accordingly. If one leaves the hospital in a wheelchair then they can’t go off-roading the following day and not expect catastrophe. This applies to your horse as well. The horse/pony/donkey should be kept in a clean stable and may also have access to, or be kept in, a small adjoining concrete yard. The animal is not under any circumstances to be turned out in a field and should not be mixed with other stock. Please walk the horse on a lead rope for a few minutes at a time, several times daily. This loosens the tensed up muscles and promotes a good blood supply to the foot, thus assisting good hoof growth and laminae healing. The backbone of our treatment of laminitis is the mechanical change in the foot. The special shoes are the key to this. In case a shoe is tripped off please call us immediately (shoes do not ‘fall off’). Without the shoe the treatment will not be successful. There should be free access to water at all times and reasonable access to hay. The diet for laminitics should be based on high fibre and very low carbohydrates and sugars. Practically this means feeding hay or haylage and very limited handfeeding based on fibre beet and minimal amounts of coarse mix if any. Please discuss your individual requirements before you leave the hospital as a strict diet is essential in the long term management of laminitis. You will have been given medicine at the hospital for your animal, please read the instructions carefully before you leave and be sure to follow them carefully. If you have any questions please do not hesitate to ask. Finally of you have any questions about managing your horse/pony please call the clinic as soon as possible, we cannot stress enough how important an owners role is in a successful treatment of this very painful and distressing condition. Dr. Henk Offereins DVM, MVSc.